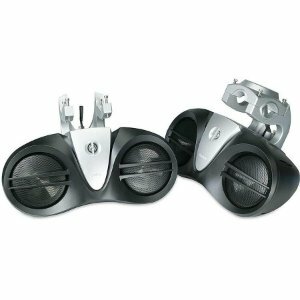 New and improved mounting bracket reinforced with steel - The mounting brackets are waterproof and durable plastic. They are reinforced with nylon and steel to make them extra strong. The nylon allows easy adjusting while the strength of steel can withstand the toughest conditions. 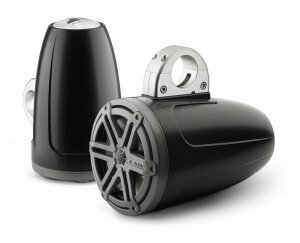 Marine grade components and materials: these speakers are truly marine grade. 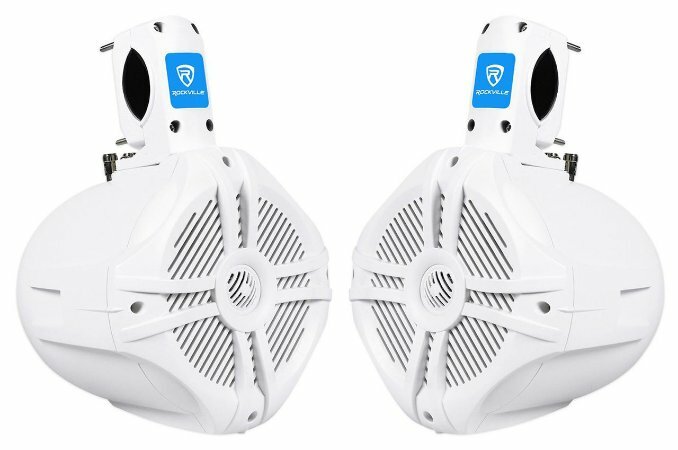 They will not get damaged by water, salt water, or moisture. 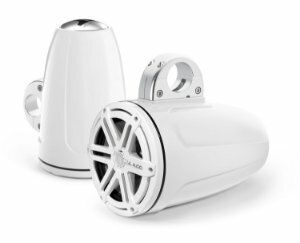 In addition the terminals (which are normally the first part of a marine speakers that gets damaged by water are made out of stainless steel and they are completely rustproof. 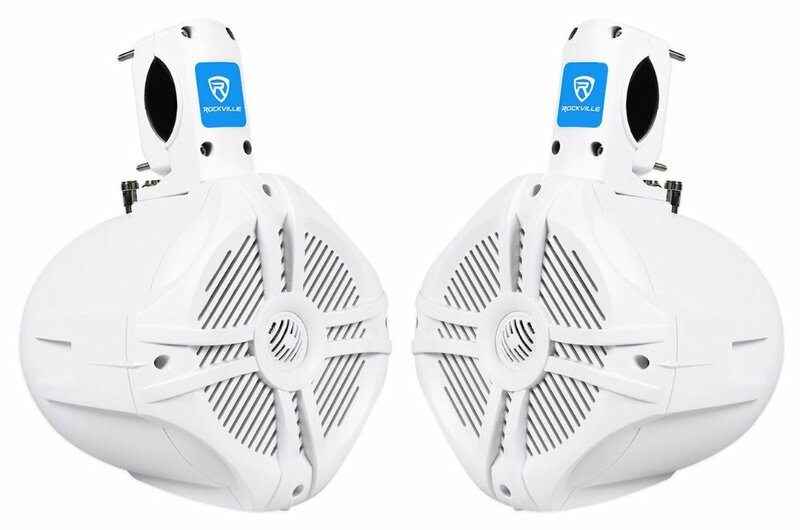 There is also an additional waterproof coating cut completely protect the speakers. The mounting screws are 1/4" longer than other versions we carry to accommodate thicker mounting bars. 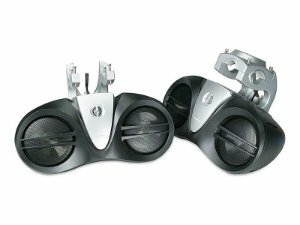 In addition to wakeboard tower's on boats, we tested these to be perfect for installing in Jeep Cherokee vehicles and even ATV's.